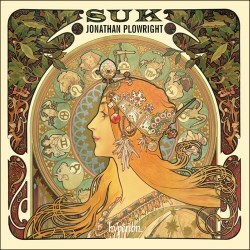 I hope the days have long passed when Suk’s piano music was considered recondite, but it is slightly surprising, to me at least, that Jonathan Plowright should explore this repertoire. On disc one associates him with the romantic concerto – say Aleksander Zarzycki – or with Brahms’s solo piano music, and hyphenated Bach, so it’s welcome that he has selected four of Suk’s sets. Gone, too, are the days when this was music stamped ‘Made and Performed in the Czech Lands’. Naxos’ disc, for example, performed by Risto Lauriala (8.553762), offers a similar looking programme to the extent that it too offers Opp. 7 and 10. But Plowright resist the lure of About Mother, Op.28 preferring the two Op.22 sets. Plowright is an ardent romanticist in these works. His playing of the five-movement Jaro (Spring) is full of combustible animation and he is even faster in the opening section than Igor Ardašev on Supraphon and very much faster than the more reflective Lada Valešová on Avie. But thereafter he lacks Ardašev’s sense of motion in The Breeze, where genuine caprice is lacking, recovering well in the Awaiting central panel because, I sense, he feels a kinship with its somewhat more conventional romantic esprit. The player who perhaps gets closest to the heart of the enigmatic fourth section, marked with three asterisks, is Tomáš Víšek on Arco Diva, whose Bosendörfer sounds a more suitable instrument for this music’s intimacies. There’s no doubting Plowright’s elegant touch however. In the opus companion, Op.22a, Summer Impressions, Plowright plays with ripe engagement but judged by the highest standards – here I am thinking of Pavel Štěpán – characterisation operates at a less intuitive level. There’s less torpor in Stepan’s reading of At noon and Plowright’s phrasing is altogether too gawky in Children at play. There’s a lack of idiomatic flow in the longest of the three pieces, Evening Mood, in which Suk dusts down reminiscences of his Greatest Hit, Píseň lásky. That famous piece first appeared in his Op.7 pieces and Plowright plays it with directness and athleticism but with sufficient sentiment too. That said, I prefer Ardašev’s performance of the first Idyll for its greater crispness though Plowright’s Dumka is suitably declamatory. Plowright tries just too hard in the Op.10 Capriccio – it needs the deadpan wit of a Štěpán to do justice to this - but in general I liked his reading of Op.10 best of all. He marries tonal amplitude with fresh-voiced affection and this, coupled with a cast-iron technique, ensures things go well. As for the recording quality, his powerful Steinway sometimes, as suggested, lacks something in true intimacy of expression. These are, to some extent, more overtly extrovert performances than one often finds from Czech performers. And if, in the final analysis, there are elements here that betray a lack of lived experience with the repertoire and its capricious and quicksilver nature, I found these eminently likeable performances and am sure Plowright will bring a new audience to Suk.